Resveratrol is a naturally occurring phytoalexin produced by the Vitis vinifera L. plant. It exists as two isomers (cis and trans), both present in wines. 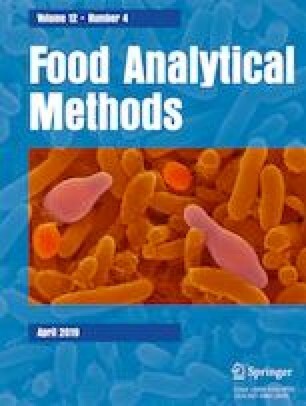 This work describes the development and validation of a GC-MS/MS analytical procedure for their determination in wines, which include five steps for sample preparation: pre-treatment, SPE extraction, acetyl derivatization, liquid/liquid extraction, and sample concentration. The developed GC-MS/MS method showed to be linear, with coefficients of determination higher than 0.99 for both isomers, and sensible in the range from 1.0 to 2000.0 μg/L for cis-resveratrol and 5.0 to 2000.0 μg/L for trans-resveratrol. Intra- and inter-day precision evaluation resulted in coefficient of variation values (CV) lower than 15%. The validated methodology was then applied in the determination of resveratrol in 33 red wines (from 8 Portuguese Protected Geographical Indications). For cis-resveratrol the content ranged from 45.8 to 2439.5 μg/L, while for trans-resveratrol it ranged from 45.8 to 2385.0 μg/L. No statistically significant differences were found between the studied regions. This study was funded by the European Union (FEDER funds POCI/01/0145/FEDER/007265) and National Funds (FCT/MEC, Fundação para a Ciência e Tecnologia and Ministério da Educação e Ciência) under the Partnership Agreement PT2020 UID/QUI/50006/2013, and “Programa Operacional Competitividade e Internacionalização” (COMPETE) (PTDC/QEQ-QAN/1742/2014 – POCI-01-0145-FEDER-016530; POCI-01-0145-FEDER-029253), and under the framework of QREN (NORTE-01-0145-FEDER-000024). A. M. Araújo thanks to FCT for her PhD fellowship (SFRH/BD/107708/2015). Sílvia Rocha declares that she has no conflict of interest. Ana Margarida Araújo declares that she has no conflict of interest. Agostinho Almeida declares that he has no conflict of interest. Paula Guedes de Pinho declares that she has no conflict of interest. Eduarda Fernandes declares that she has no conflict of interest.